With over 21 years of industry experience, Family Credit Management offers a free consultation, and features low monthly fees for its services. Family Credit offers free ten minute consultations and a money back guarantee to help ease any concerns and answer questions of prospective clientele. It is also worth noting that the company has a nationwide presence, licensed to help customers in all 50 states. Customer reviews seem to emphasize how courteous and helpful the staff is, both during the free consultation and while working to pay off their debts. Others have expressed appreciation for the fact that working with Family Credit Management has helped them pay off their debts without damaging their credit scores. We like this company’s approach when it comes to understanding the economic hardship of consumers inquiring about their services. They allow clients to choose a due date suiting their personal schedule and even allow some to cut the monthly payment into two monthly installments to help ensure program success. Our review team had to look hard to find something worth complaining about with Family Credit Management. The only drawback is that although the company has some accreditations, it is not certified by the AICCCA or NFCC. These certifications usually serve to help show that a company knows what it’s doing and follows industry best practices. We are impressed by Family Credit Management. Although they may not carry all possible accreditations, its track record, solid reputation, and consumer-friendly practices are major points in their favor. Ultimately, the reported results of past clients seem to speak for themselves and we recommend Family Credit Management to any reader struggling with debt and looking for a faster way out. As an established non-profit organization, Family Credit Management provides its customers with a credit counselor to discuss debt management, credit counseling, and housing counseling. Family Credit Management is known for being a true debt consolidation organization that combines consumer’s debt into one monthly payment and assists in lowering the overall interest rate. Family Credit Management was able to help one consumer reduce their interest rate as low as 1.9 percent. Family Credit Management also provides a few free resources like a digital personal finance made easy book, “100 Small Ways to Save BIG” booklet, several financial calculators, and a personal spending plan. Yes, they offer free consultations. Family Credit Management Services opened its doors in Chicago in 1996 and has been serving its customers during the past 21 years. They have a robust blog with numerous articles that are practical and can help anyone (not only their clients) get a handle on their family budget and spending habits. These are posted on Twitter and Facebook for their friends and followers. Additionally, there are several short, yet informative videos featured on a YouTube channel managed by Family Credit Management. 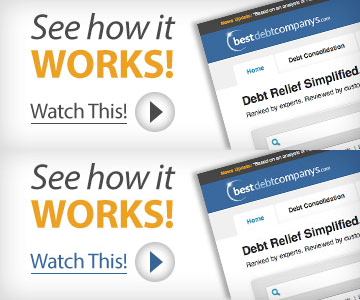 As with most debt assistance programs, they work with unsecured debts. These include credit cards, store credit accounts, medical bills, etc. Mortgages, car loans and student loans are not eligible for the debt management Program. Yes. The website for Family Credit Management is optimized for mobile use and is easily navigated on a mobile device. Family Credit Management does not require that you sign a contract. If you are unhappy with their services, you simply cancel their program and stop paying the monthly fees. You can contact them via their contact page. Family Credit Management offers credit counseling services, debt management and more. They help you to enroll in their Debt Management Plan and work to lower your interest rate and monthly payments to your creditors. For a monthly fee, plus your plan payment, they disburse these funds to your creditors. Rather than a debt settlement plan, your credit rating doesn’t take a plunge. These programs also show your creditors (past, present and future) that you are working to pay off what you legally owe and are serious about taking responsibility for your debt. Customers are given access to a personalized account manager through the Family Credit Management website. Account holders are able to view past statements and have the ability to make payments through the online dashboard. Family Credit Management debt counselors are CPFC certified. Family Credit Management is ISO 9001 certified. They follow the highest standards of service in the credit counseling services industry. This company is amazing,!!!! They work hard to lower interest rates, wouls reccomend them to any body who is struggling with debt. Abigail was very friendly and did not make me feel rushed during the free consultation.